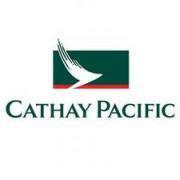 Cathay Pacific Airlines is offering promotional prices on fares from major cities across Canada to the beautiful island of Bali, Indonesia. Round-trip economy fares start from CAD923 (USD930) from Vancouver or CAD1,123 (USD1,132) from Toronto. Taxes and airline surcharges are additional. This promotion is available for bookings and travel until November 30, 2011. Fly to Indonesia for as little as USD89 with KLM Royal Dutch Airlines . Roundtrip economy fares start from USD89 from Kuala Lumpur to Jakarta or USD110 from Singapore to Denpasar (Bali). Taxes, surcharges and departure taxes are an additional USD60-80. This promotion is available for bookings and travel now through September 30, 2011. Qatar Airways is offering special prices for travel from Denpasar Airport in Bali, Indonesia, to selected cities in Europe and North America. Roundtrip economy fares are USD1,138 to Rome, USD1,181 to Paris, USD1,224 to Frankfurt, USD1,286 to London, USD1,418 to New York, and more. Fares must be booked by September 30, 2011, and are valid for travel until March 31, 2012. In celebration of the Ramadan holiday period, Garuda Airlines is offering special rates on domestic flights from August 1 – 22, 2011. 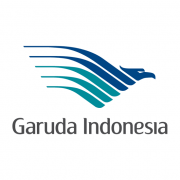 Garuda flies to 32 destinations within Indonesia including Jakarta, Denpasar (Bali), Medan, Batam, Surabaya, Jogyakarta, Pekanbaru, Manado, Palu, Banda Aceh, and Padang. One-way economy fares start from IDR423,000 (USD50) plus taxes. 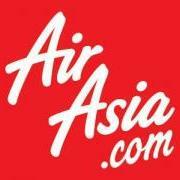 Starting July 1 AirAsia is increasing its services between Bali and Perth, Australia, to 4 flights per day. Regular one-way fares start from just IDR919,000 (USD107) plus taxes/surcharges and promotional fares are even lower! The new flight QZ8628 departs Bali’s Denpasar airport at 9:05pm and arrives in Perth at 12:45am local time. The current flight schedule is accurate until Octber 29, 2011. Starting June 29, 2011, Lion Air will offer direct flights between Jakarta, Indonesia, and Kuala Lumpur, Malaysia. This route will be flown by a new Boeing 737-900ER aircraft and there will be one fight in each direction per day. Promotional one-way fares start from IDR300,000 (USD35) plus airport taxes. Promotional fares are non-refundable and fees apply for any changes. 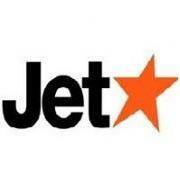 Jetstar Airways offers the lowest prices between Indonesia and Singapore with one-way fares starting from just USD22 for travel on a weekday. 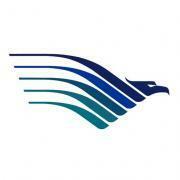 Promotional fares are valid for departures from Jakarta or Bali (Denpasar) and include taxes and surcharges. Only a limited number of promotional fares are available and sold on a first-come first-serve basis. Book early to get the best rates. Starting June 1, 2011, Garuda Airlines will offer daily direct flights between Makassar, Indonesia, and Singapore. Makassar is the largest city on the island of Sulawesi, renowned for its pristine beaches and world-class scuba diving, and 2011 has been named “Visit Makassar year”. One-way fares start from USD130 for economy class travel including taxes and surcharges.